The Benghazi cover story was an awful, offensive, crude and disgusting online video that insulted believers in Islam lead to a spontaneous protest that killed four Americans in Benghazi, Libya. 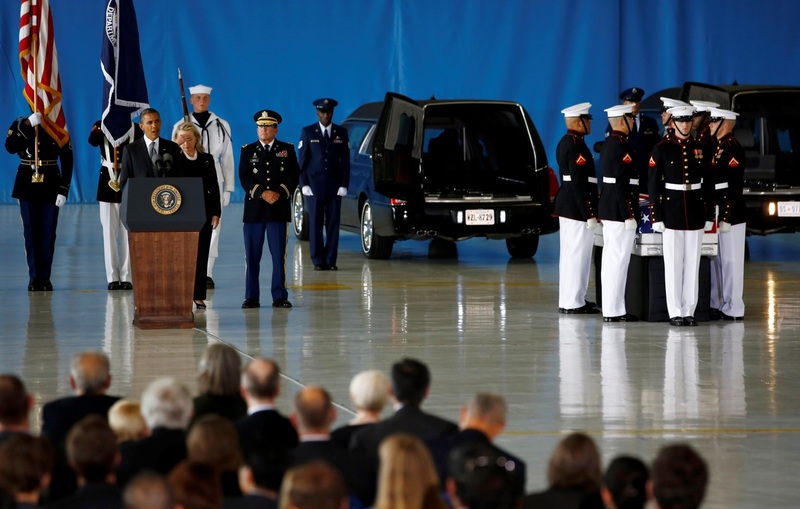 On Sept. 14, 2012 during the transfer of remains ceremony at Andrews Air Force Base, then Secretary of State Hillary Clinton made remarks to the families of the four Americans killed in Benghazi. She briefly reviewed the careers and lives of the deceased: Sean Smith, Tyrone Woods, Glen Doherty and Ambassador Chris Stevens. On Sept. 16, 2012, United Nations Ambassador Susan Rice appeared on all five Sunday morning TV news shows. The interviewers on all five shows asked Rice to provide the Obama administration’s explanation for the murder of the four Americans in Benghazi. On ABC’s “This Week,” in response to a question by Jake Tapper, Rice answered, “But our current best assessment, based on the information that we have at present, is that, in fact, what this began as, it was a spontaneous — not a premeditated — response to what had transpired in Cairo. In Cairo, as you know, a few hours earlier, there was a violent protest that was undertaken in reaction to this very offensive video that was disseminated.” Rice repeated this explanation on all five shows. The terrorist attackers numbering about 150 are suspected of being members of the powerful militia organization Ansar al-Shariah. Their members espouse a jihadist al-Qaida-like ideology. They fought in the Libyan civil war that overthrew the 42-year dictatorship of Moammar Gadhafi. The truth was known from the beginning that the terrorist attacks were planned and well-organized by a militia group called Ansar al-Shariah and had absolutely nothing to do with a YouTube video. The Benghazi cover story was a lie repeatedly told to deceive the American people during an election year.